You did all the hard work creating an Iceland itinerary, but just have a few questions to finalize the perfect trip. Without a doubt, the most common questions I get from readers is how to coordinate the details of their itinerary. How much to fit in one day, how long it takes to drive to each location, where to stay along the way. I get it, these things are confusing and overwhelming to put it all together! Feedback on your Iceland trip, perfected by a local! How long does each stop take? How much can we fit in each day? What order should we do it in? 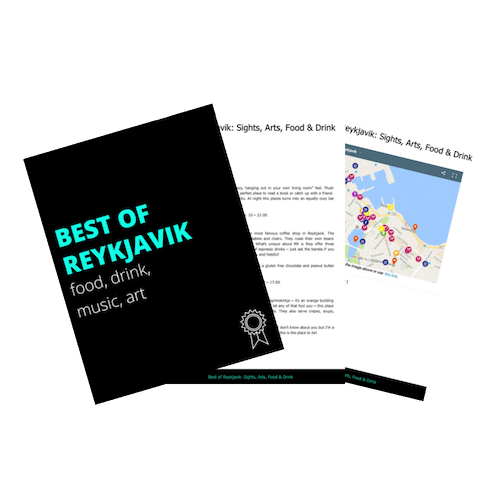 Written edits with detailed feedback about your pre-written Iceland itinerary. When you confirm your purchase you will receive an email from me. Send me your DETAILED drafted itinerary within 5 days of your trip for a complete review. A DETAILED pre-written itinerary including dates, sights, and accommodation. This package will contain general feedback about the timing of your trip and offer a few hidden gems. If you’re looking for a fully personalized itinerary, I do build custom trips – check it out! This package does NOT come with a map or a call. The information in this package may not be copied or shared in whole or in part. All suggestions have been personally tested and loved by me! Live Life with a View by Jeannie is worth the money! All the tips from packing to hidden gems to see in each area helped us plan an amazing trip! Jeannie has been one of the prime reasons for me to get inspired to go to Iceland after i discovered her on youtube. So yes, hats off to her for being an inspiration & so is her book. We did tons of research and put together an amazing itinerary for our family adventure. But, we feel SO MUCH BETTER after having Skyped with Jeannie! Her advice and counsel were worth every penny. Don’t go to Iceland without talking with her first! As soon as we booked our trip, my mom was doing as much research as possible about Iceland! She discovered Jeannie on Facebook and being the planner she is has watched just about every video and webinar possible. We came up with an outline of our itinerary and sent it over to Jeannie who helped fill in the blanks, suggest the hidden gems and gave restaurant recommendations! She has been extremely pleasant and helpful throughout the planning process! I did a lot of independent planning for upcoming trip to Iceland, but I feel so much more confident about our itinerary now that Jeannie has reviewed it and offered suggestions. I have also found her videos to be SO helpful! I accidentally discovered Jeanie on YouTube several weeks ago and was amazed at all the helpful information she provided. Thanks to Jeannie, I was able to put together an itinerary on my own, but was uncertain as to some of the details. Jeannie successfully tweaked our plans to include some hidden gems, restaurant recommendations, driving tips, and “must see” places resulting in the perfect itinerary for our family of four! Jeannie’s enthusiasm for Iceland and its treasures is infectious. I cannot wait to go and report back on all of the wonderful sites and experiences. I can’t recommend Jeannie’s itinerary review service highly enough. Thanks so much!! I researched for hours and hours our 10 day self-driving Ring road tour of Iceland. But, I’m well aware of the saying “Der mentsh trakht un got lakht” (Man plans, God laughs). Never having been to Iceland before, I knew that it would be helpful to consult someone who knew if my plans were realistic. So I had Jeannie look over my schedule. She gave me many helpful tips, suggested some tweaks and changes. While I haven’t left yet, I feel much more confident and less stressed about our trip. She was very helpful, sweet and a pleasure to talk to. Highly recommend! I researched Iceland extensively and planned our itinerary but was having problems with 3 of the 10 days- not being able to decide whether or not we should venture into the Central Highlands and whether some of our accommodations were appropriately located to the sites that day, etc. Having Jeanne review my itinerary was exactly what I needed to have the confidence. Everything about the itinerary review was perfect – very organized, efficient and great advise! I would highly recommend Jeannie! Jeannie is THE GO TO PERSON for anything about Iceland. She is very detailed in preparing your travel plan; the only person that I know who plans this kind of details; is honest with her answers; and will recommend alternative interesting sites on your travel plan. Her FB group is also a source of “on the spot information”. She shares her knowledge about Iceland to everyone. For a few months now, we have been planning a 3 week trip to Iceland. Having completed our itinerary, we were unsure if we were overextending ourselves and if we had missed any special sights. We also had questions regarding rental cars, gas, roadmaps, food, and weather. Jeannie was able to tweak our itinerary telling us which sights should be a day trip and adding other sights that we should see. She is very knowledgable and was able to answer all our questions. We also find her web site and Facebook group a treasure trove of information. We would highly recommend Jeannie. I was so exited to have Jeannie review and help out plan our trip in a few weeks to Iceland! I love planning trips and with there being thousands of things to see in Iceland it was hard to know what was a realistic expectation to hike in a day and what was not. Jeannie was able to answer my questions over the hikes, and provide lots of information over other sights that were close. She also provided us with recommendations over restaurants in the different places we were staying! I absolutely recommend getting this service if you have questions over your itinerary and want to have a peace of mind on your trip! Thank you Jeannie, looking forward to an amazing trip! I cannot begin to express how much Jeannie provided peace of mind when planning our trip. We had figured out the bulk of the itinerary (with the obvious help of this site) but still had some big questions that needed answered and some minor ones too. Jeannie was able to answer all of those questions during the Skype call and we were able to wrap up the rest of our planning. We definitely would have missed out on places to visit without the itinerary review, Jeannie offered up so many hidden gems and restaurants only a local would know. The best part was all of the locations we planned to visit in order by day with info on each spot. I feel so much more confident our trip is realistic and that we are going to have an awesome time! I face-timed with Jeannie today for an itinerary review. First, Jeannie had me send her my itinerary. She reviewed it and write comments and recommendations on it in red and e-mailed it back to me. I reviewed all of her feedback, made some adjustments to my itinerary, and wrote down some additional questions. Then Jeannie and I Face-timed to discuss everything. She let me lead the conversation and answered all of my questions! Jeannie is so knowledgeable about Iceland and made a few recommendations of places I had not heard of during my research. Now, I feel more prepared for my trip and confident in my itinerary! I highly recommend using Jeannie’s itinenerary review! Thank you Jeannine! Jeannie was such a huge help in planning our trip to Iceland. We honestly had the trip of a lifetime! I had a pretty good idea of the highlights we wanted to see but Jeannie really helped give detail to our itinerary and pointed out some extra places to see along the way. I would highly recommend using her itinerary review service, it was well worth it for us. We felt very prepared for our trip and felt that the time we spent in Iceland was really maximized. Can’t wait to plan a return trip for the future! Thanks again! I was having a hard time organising our trip to Iceland next January (so much to see, too less daylight), not knowing how much time would each stop take, or what was worth to do… I always have fun preparing our trips, and it’s the first time I was really feeling bad while doing it, but Jeannie helped me put my ideas in order, so I can again enjoy. Having help from a local is something invaluable!! Skyped with Jeannie this morning (at 6am!) to go over our two week Iceland itinerary and am so happy I purchased her itinerary review service! Her input and feedback were fantastic!! I finally feel READY for our adventure to begin on Saturday! I recommend anyone who is planning their own trip to take advantage of her knowledge and experience – she can answer questions and give advice you won’t find via Google or Pinterest! We decided to plan a trip to Iceland, so we started following Jeannie’s Life With A View Blog , her Iceland Travel Team Facebook page, and Lifewithaview Instagram. there were so many wonderful tips and exciting places that we wanted to see. We decided to pick out our favorites and our “must-do” list. Then it got overwhelming….How long do I stay here, what am i going to miss here or along the way, where do we eat, where can we find special places, etc. , etc. etc. I sent our list of tours we already have planned and reserved, the things we feel we must see, and questions about where to go or what to do in the “holes” to Jeannie. She gave us special places, let us know what is open and closed…and to top it off, she gave us a personalized 30 minute phone call for any questions we may have or any changes that we wanted. She did it all! I would definitely recommend Jeannie’s service to anyone planning a trip to Iceland. She gave such a personal touch and really gave thought to what we wanted to do. Thank you so much jeannie! We are forever grateful for all of your help and kindness! Decided we needed a little help when planning our trip to Iceland in November. We worked out an itinerary and wanted to get advice on whether it was do-able timing-wise as well as hotel suggestions and advice on what excursions to add. We had a Skype call with Jeannie. It was great to get her thoughts on our schedule which we have now re-jigged in line with her suggestions. I would recommend this service to anyone planning to visit Iceland and not sure which areas to visit or know where to go. Thanks Jeannie! To save money, we planned a self guided visit to Iceland. We researched all the popular sites and drafted an itinerary. 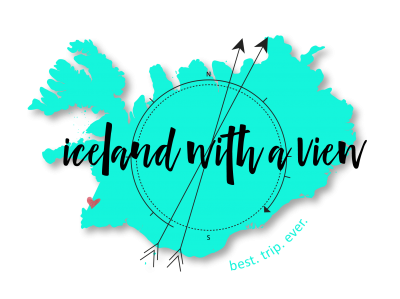 Never having been to Iceland, I was thinking having an expert like Jeannie review our itinerary would be worthwhile if she help us avoid even one mistake. I was not disappointed. Jeannie helped us prioritize our listing of sites to visit, plus she helped us create the most efficient order to follow as we visited the sites. Jeannie’s help was worth many times the relatively modest fee she charges.